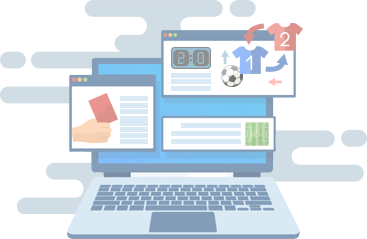 XML Sports Feeds' In-Depth Stats Data is specially created for the betting market by seasoned betting professionals. We have created sets of statistics using historical data that can give you the premium advantage in betting on football matches. in the last 10 matches. periods in the last 10 matches. Number of matches since last goal by player. Results versus league's top 6 clubs. Results versus league's bottom 6 clubs. Get an even deeper look at match statistics with our in-depth stats feeds.